7th June 2018 – On a warm sunny evening in front of a sell-out crowd at the Oslo Diamond League, Dina Asher-Smith (GBR) smashed the British 100m record. 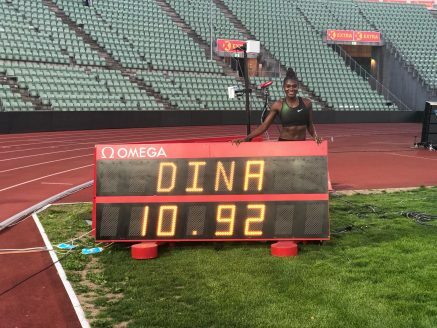 Already the holder of the record from when she became the first (and still to date only) British woman to run under 11 seconds, Dina moved it on again here clocking 10.92 seconds. This earned her second place in the race, just 1/100th behind World Indoor Champion Murielle Ahoure. Shamier Little (USA) also took second place with a good run of her own in the women’s 400m hurdles. Matching Olympic Champion Dalilah Muhammad stride for stride, the two battled all the way to line with Shamier just edged out but in a seasons best time of 53.94 seconds. In the traditional meet finale, the ‘Dream Mile’, Bethwel Birgen (KEN) took eighth place in a tactical race.